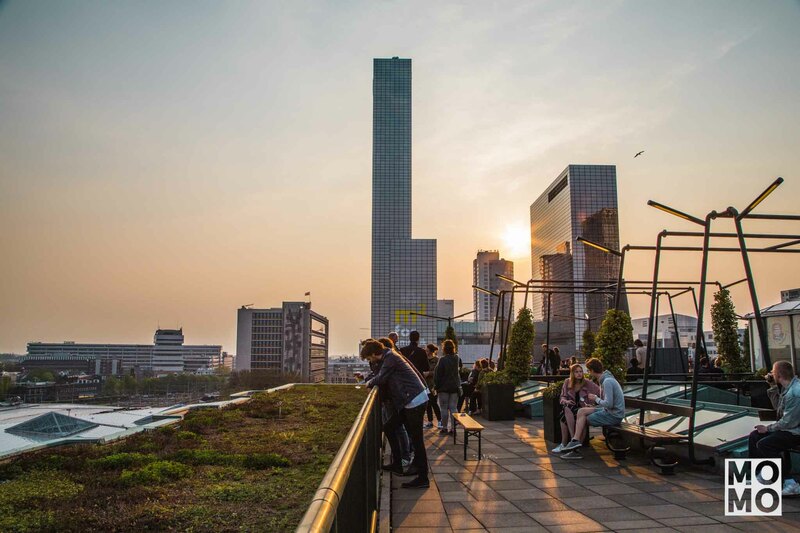 Rotterdam Festival Motel Mozaïque will introduce a green tax: visitors using bike or public transport to visit the festival will receive a discount on food and drink. This “green” tax (green discount) is one of several (social) sustainable activities Motel Mozaïque will introduce this year. The multidisciplinaire festival will take place on the 18, 19 and 20th of April in Rotterdam’s city centre. With this green tax (the green discount) Motel Mozaïque rewards those who are trying to do the right thing. The festival believes this is more stimulating than taxing that which you’re doing wrong. The green discount gives you a €0,10 discount on all drinks and food you order at Plaza Mozaique, the freely accessible festival heart. It will also give you a 10% discount on all MOMO merchandise. Visitors will receive a green stamp-discount at the info desk when showing a picture or video of them cycling or taking public transport to the festival that day. Visitors come from all over the country to Rotterdam to celebrate the Motel Mozaique festival. And transport is one of the biggest polluters that make up a festival. By giving people this discount for using public transport or bike, the festival stimulates using a more sustainable mode of transport and eventually creating a smaller footprint. According to Motel Mozaique, the festival is the ideal place to test new, green approaches in the city. For three days the festival will serve as a temporary mini society, reflecting the city. Will the discount work and will we actually motivate more people to use a green mode of transport? If so, the festival would like to inspire politics to try out this intervention on a larger scale. The green discount is part of a more sustainable Motel Mozaique, with which the festival actively contributes to a hospitable and sustainable Rotterdam. The festival will serve mainly vegetarian food, will be free of disposable cups and will be working together with Nieuw Thuis Rotterdam to offer newcomers with a migration background voluntary work experience at the festival. Finally the festival will also organise a new market: Market Mozaique is a market on the free accessible Plaza Mozaique (Schouwburgplein) where young Rotterdam makers and entrepreneurs will present new ways to consume. From coffee served by ex-cons (Heilige Boontjes) to dining with fruit and vegetables that have been saved from the trash (Groenten zonder Grenzen). And from clothes swapping (Awearness Kollektif) to pimping your t-shirt with a MOMO mud print (Mud Shirts).